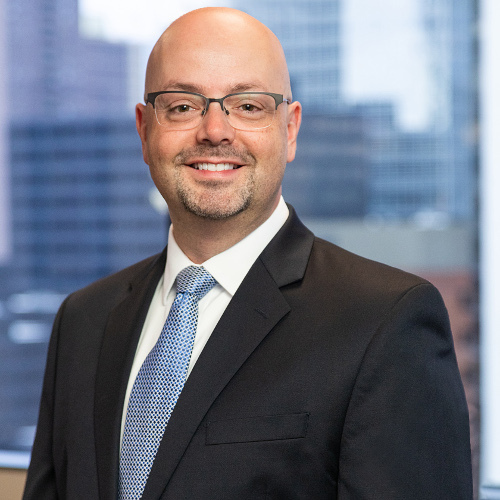 Billy J. Hensley, Ph.D., was appointed president and CEO of the National Endowment for Financial Education (NEFE) in 2018. He replaced Ted Beck, who announced his retirement after 13 years leading the organization. From 2010-2018, Hensley served as NEFE’s senior director of education, overseeing the grants and research department, including management of several consumer education programs, collegiate initiatives, and e-learning and web strategy. Prior to joining NEFE in 2010, Hensley received a doctorate in educational studies from the University of Cincinnati and a master’s degree in education and a bachelor’s degree in psychology from Union College. He has a distinguished career working in educational philanthropy and higher education administration in Colorado, Ohio and his home state of Kentucky, with a focus on financial education, college access and teacher professional development. Hensley currently serves on the board of the Jump$tart Coalition for Personal Financial Literacy, where he chairs the education committee. He also is on the editorial board of the Journal of Financial Counseling and Planning. Before his time at NEFE, Hensley served as assistant director for the Ohio College Access Network, and program associate at KnowledgeWorks Foundation in Cincinnati; assistant director of admissions at Hiram College (OH); and as campaign coordinator at Union College (KY). He helped build the number of college access programs in Ohio by designing sustainability plans for communities all across the state. Hensley’s efforts helped increase the number of students served by college access initiatives to 189,000 in 205 of Ohio’s 612 school districts. At KnowledgeWorks he helped build a national policy model for career advancement via educational access for working adults. Over the course of his career he has helped to secure state and federal grants for educational initiatives totaling over $35 million, while also administering several access and admission activities at the University of Cincinnati, Hiram College and Union College. In 2009, Hensley was named Outstanding Doctoral Student of the Year by the University of Cincinnati College of Education, Criminal Justice and Human Services. He also received the Exemplary Service Award from the Southwest Ohio Secondary Teaching Academy in 2007 and 2008, and the Union College Rising Star Award in 2003. His research has been presented at state, national and international conferences and also has been published in numerous academic research journals. Hensley has served on the boards of the Urban Appalachian Council of Greater Cincinnati and the Gallatin Food Pantry, as well as on the Southwest Ohio Workforce Policy Board Youth Council, the After-School All-Stars Evaluation Advisory Board, the University of Cincinnati Diversity Council and the Union College Alumni Board of Directors.